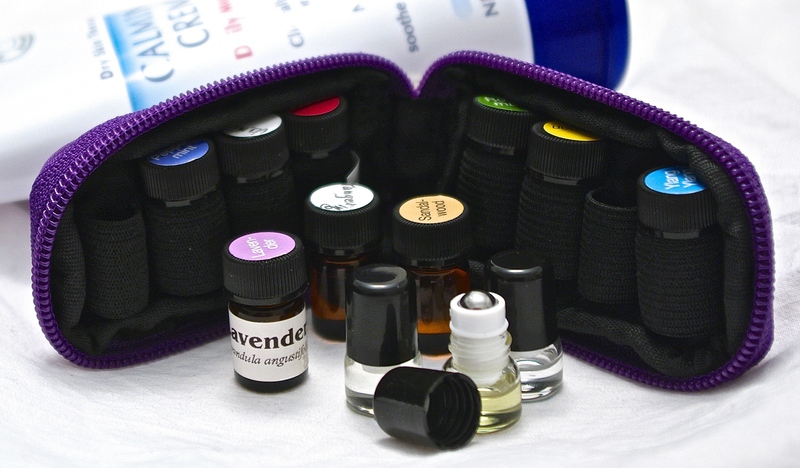 This is the essential oils kit I carry with me every day when I’m meeting with clients. When a client has a particularly rough session, I let them choose a fragrance they like, apply a couple of drops to the unscented hand lotion that I also carry with me, and then massage it into their hands and fore-arms. It always amazes me how quickly one can clear their thoughts and get grounded with just a little bit of aromatherapy. Years ago when I interned at a hospital, my supervisor stressed the importance of doing the “little” nurturing things that helped cultivate trust within our clients so that they felt safe doing the hard work of healing body, mind, and spirit. I never forgot that lesson.